The investigation into missing Hannah Graham has provided a “significant break” in a 2009 unsolved murder case, Virginia police have said. 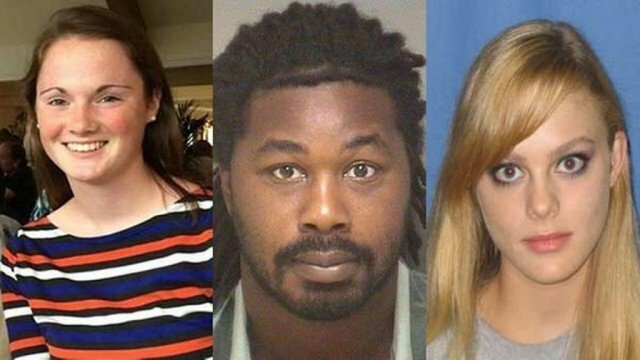 The arrest of Jesse Leroy Matthew Jr., 32, accused of abducting Hannah Graham, 18, has led to forensic evidence related to Morgan Harrington’s murder. Morgan Harrington was found dead three months after she went missing from a concert. British-born student Hannah Graham was last seen on September 13 in Charlottesville, where she is a university student. Police are still looking for Hannah Graham and have offered $100,000 for information on her whereabouts. Jesse Leroy Matthew Jr. was taken into custody by police in Galveston, Texas, several days after he drove away from a Charlottesville police station. He was seen walking with Hannah Graham on CCTV footage the night she disappeared from Charlottesville and has now been charged with abduction with intent to defile in connection with her disappearance. On September 29, Virginia state police said Jesse Matthew’s arrest “provided a significant break” in the Harrington case with a “new forensic link for state police investigators to pursue”. The statement did not give specifics about the forensic evidence. Charlottesville police searched Jesse Matthew’s apartment and took several items of clothing.